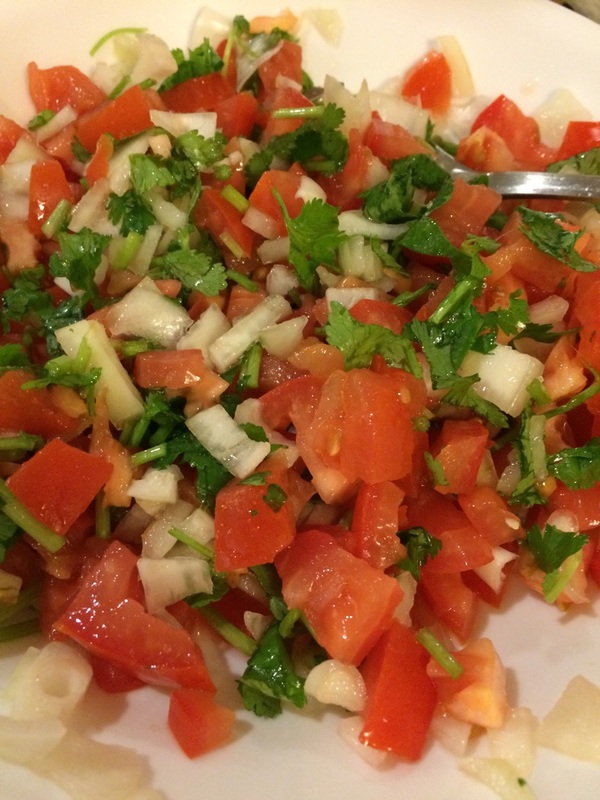 I spent most of my adult life being too intimidated to attempt making salsa. How crazy is that? Thankfully I figured it out and I make it as frequently as I can. My husband and my older son (who is seven) love it. My three-year-old son will not even try it, but when I was I child I didn’t like tomatoes so I’m hoping that he will change. 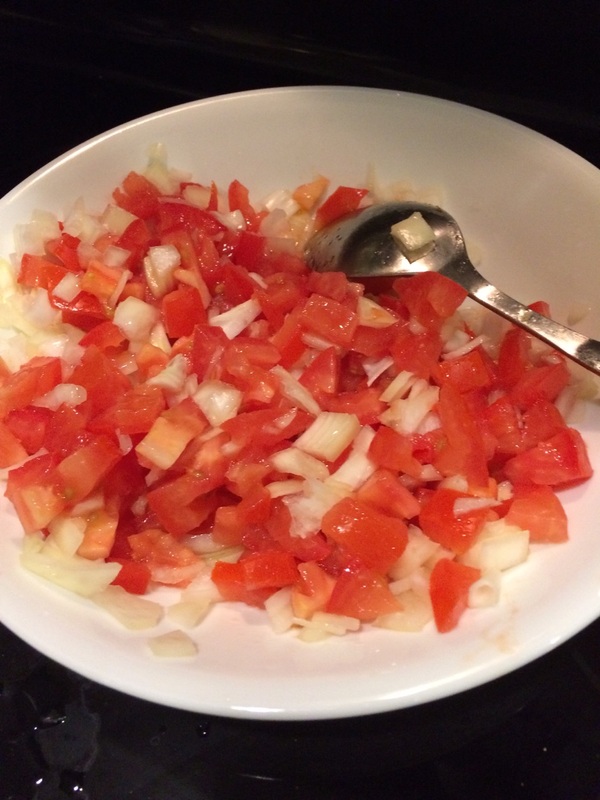 Dice tomatoes and onions, put into a large bowl. 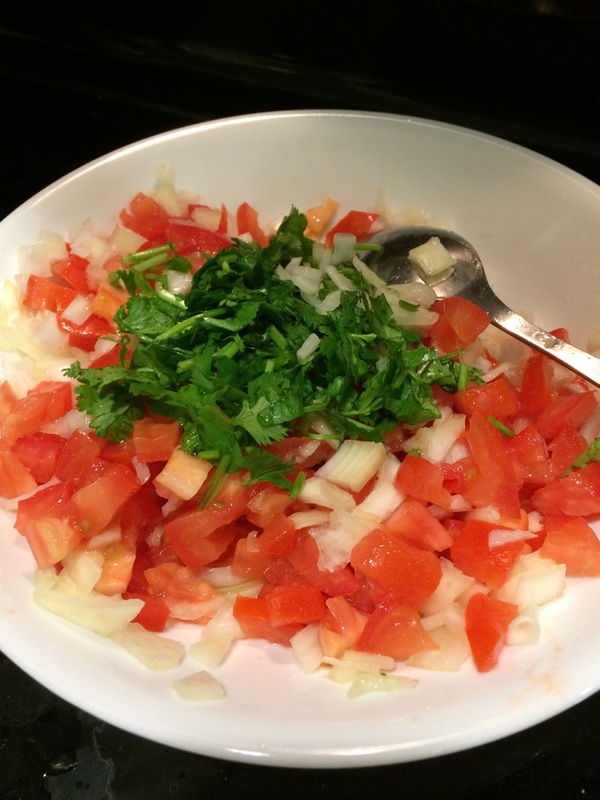 Chop up cilantro and don’t worry about the stems — you can eat them! 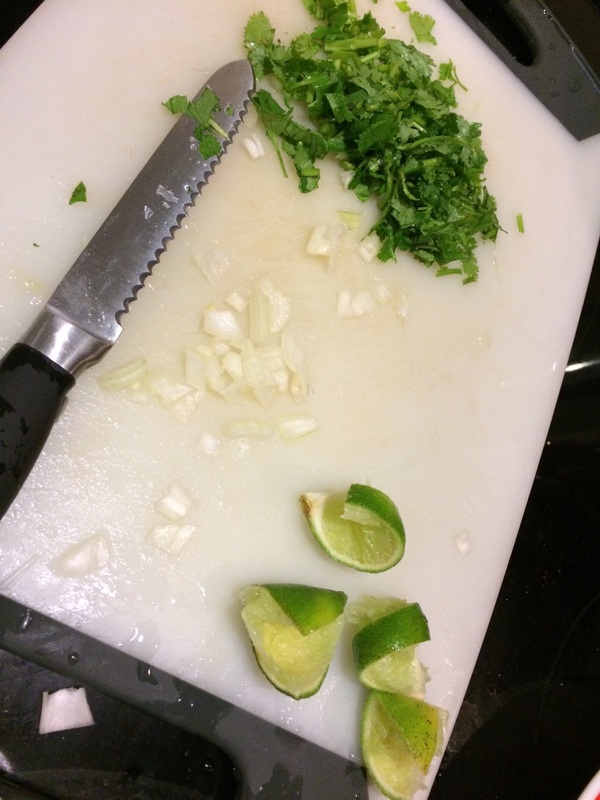 Squeeze the juice of half a lime all over the mixture. Add salt. Stir mixture and serve with (organic) corn chips.